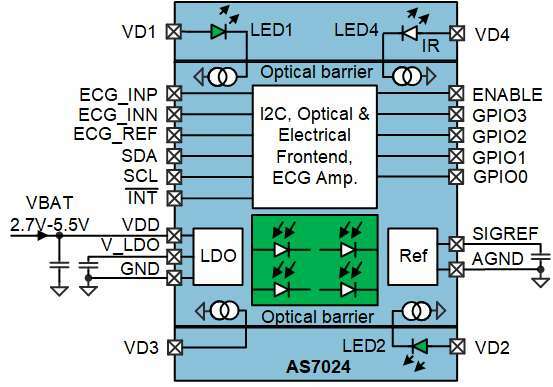 LED Engin, an Osram business, has unveiled the LZ7 Plus, the world’s first 50W seven-die LED emitter. The trend in stage lighting fixtures has evolved from not only delivering ultra-bright light with the narrow beam but also creating more sophisticated color schemes and high CRI white. LZ7 Plus is uniquely designed to address this trend, featuring seven high-power dies in six colors, which can be individually controlled to deliver intense, saturated colors, as well as high-quality white light as a result of color mixing. The LZ7 Plus can be used in various stage fixtures, such as static and moving head wash fixtures, as well as profile fixtures. 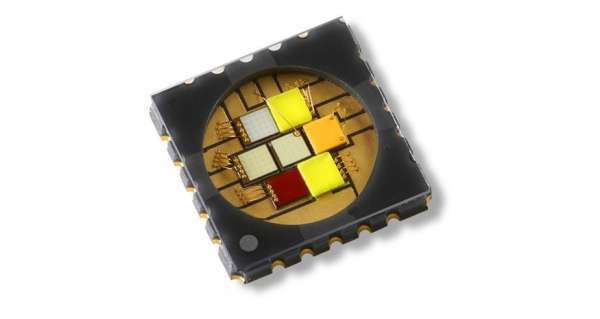 The new LED features a 50W package with high-current red, green and blue dies, as well as cyan, two phosphor-converted lime dies and phosphor-converted amber die. The dies are closely packed in a low thermal resistance package with an integrated flat glass lens. The addition of high-performance cyan, lime and amber to the traditional RGB color in a compact light-emitting surface of 3.4mm x 3.4mm, when coupled with secondary optics, produces an ultra-bright light with narrow beam, richer and wider color combination, as well as high CRI white, all from a single LED emitter. To achieve this unprecedented performance, the underlying powerhouse is LED Engin’s proprietary LuxiGenTM platform. Featuring a patented multi-layer ceramic substrate technology, the platform allows all seven dies to be placed closely together and delivers an ultra-low thermal resistance allowing heat to be dissipated efficiently from the dies. There is a growing demand for stage lighting with more sophisticated color requirements, without sacrificing brightness and beam quality. The LZ7 Plus offers an unparalleled combination of colors in a powerful, high-quality package to deliver performance not seen before in stage lighting.